Disney Live in Ho Chi Minh City | Hello Saigon! Been envious of friends back home having all the great theater shows all year round. Even Hi-5 visit to Manila was something I was wishing we’d have here in in Saigon. I know the kids will love them. 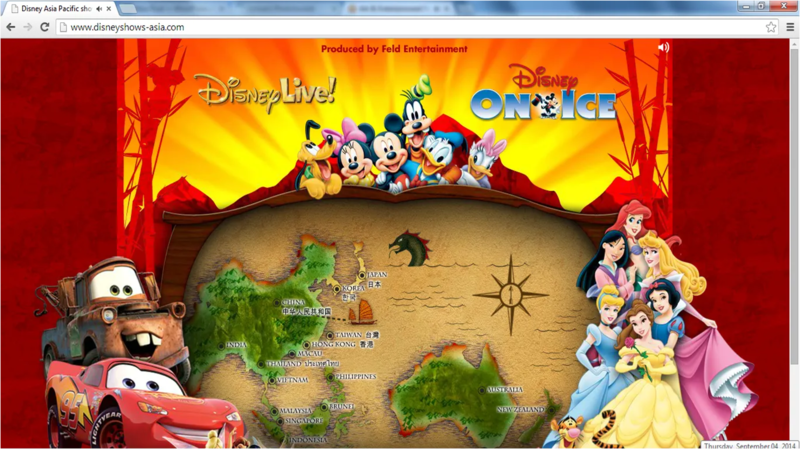 Then my friend Gladz told me about Disney Live coming to HCMC! We spent the afternoon googling to find more news and way to purchase the tickets. And voila, we found out it’s going to be shown at the Hoa Binh Theatre in District 10. There will be 12 shows from September 24-28 with only 2 shows (September 27 and 28) in English! So we knew we had to book quickly. Booking is quite easy. Just click on Mox.vn. Choose the date you want to watch and click on your preferred seats. Fill out the shipping information and voila, you’re done! I received a call in less than an hour confirming my booking and informing me that the tickets will be sent next week. Tickets are priced at 350,000, 600,000 and 900,000 VND. Thanks Kellan for pointing out the seating arrangement. The Main Auditorium only has 600k and 900k priced tickets. 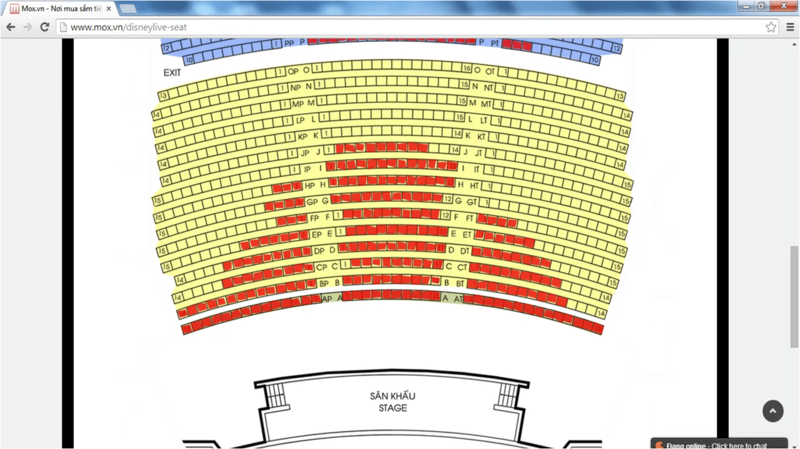 But if you check out the 2nd Floor Auditorium, there’s an option for the 350k seats marked in pink. There are 600k seats as well on the second floor. So there! 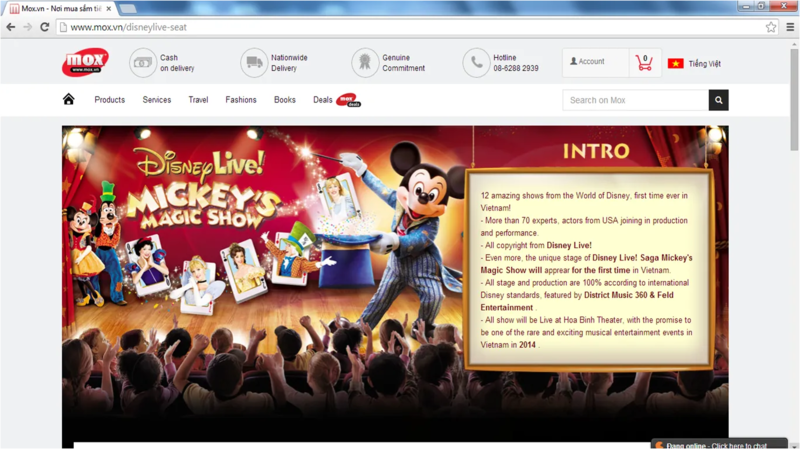 This is the first time that Disney Live is coming to Vietnam so if you have kids or if you’re a kid at heart, grab the opportunity! It sure is cheaper than flying home and catching Disney Live there. If you use your HSBC credit card to pay, you get 15% off!!! 🙂 If you have trouble paying, just call Minh Anh at 62882939. She’s extremely helpful! Kudos to Mox! 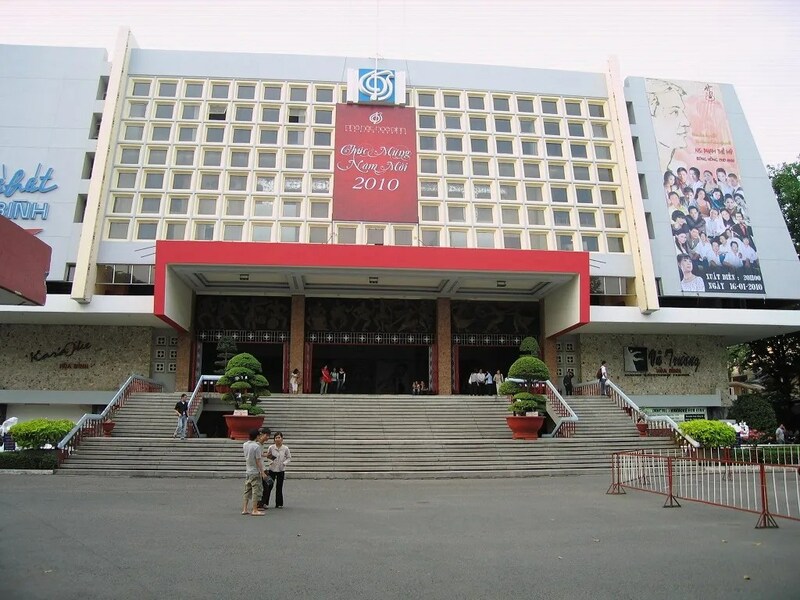 This entry was posted in Event and tagged Disney Live, District 10, Hoa Binh Theatre, Mox.vn. Bookmark the permalink. Thank you for sharing the info. When you choose the seat look for 2 options: Main Auditorium and 2nd floor Auditorium. The default is Main Auditorium so the tickets are more expensive. You can choose the seat at VND350,000 in the option 2nd floor Auditorium 🙂 We are going for the show on September 27. Yeah! Okay now I get it! I now saw that option! The mox.vn website doesn’t work. Any other links? I am sorry. I don’t know right now as this event has been long over.